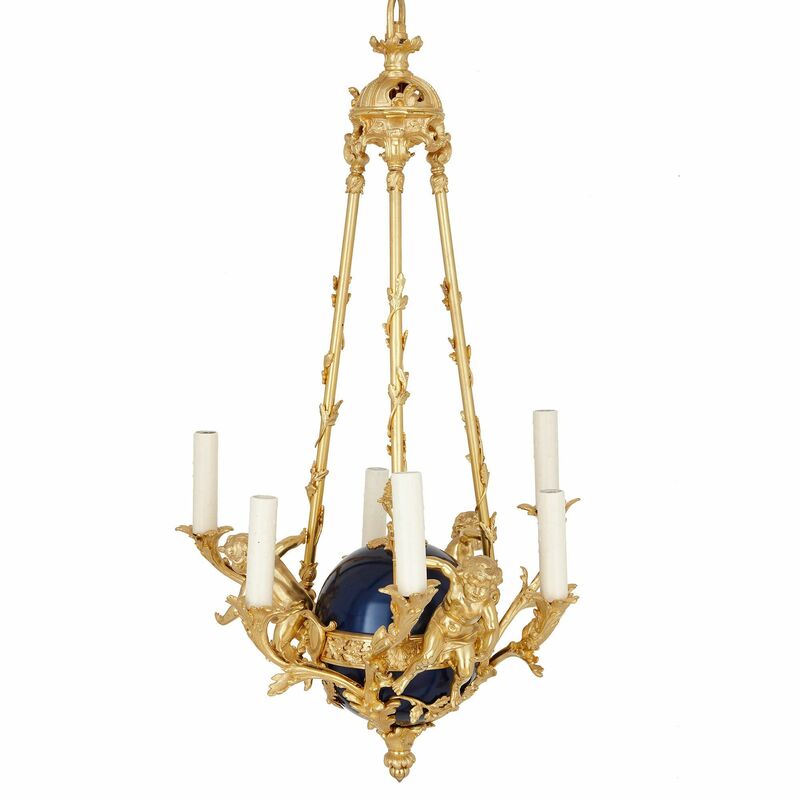 This fantastic antique French chandelier is a celebration of joyfulness, beauty, and majesty, and features three exceptionally cast gilt bronze cherubs. 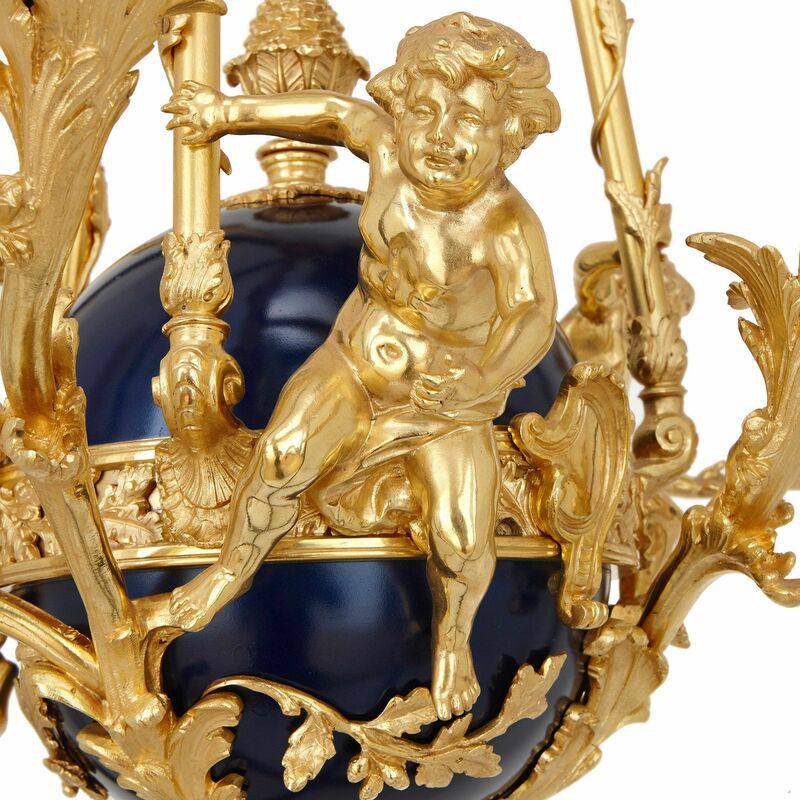 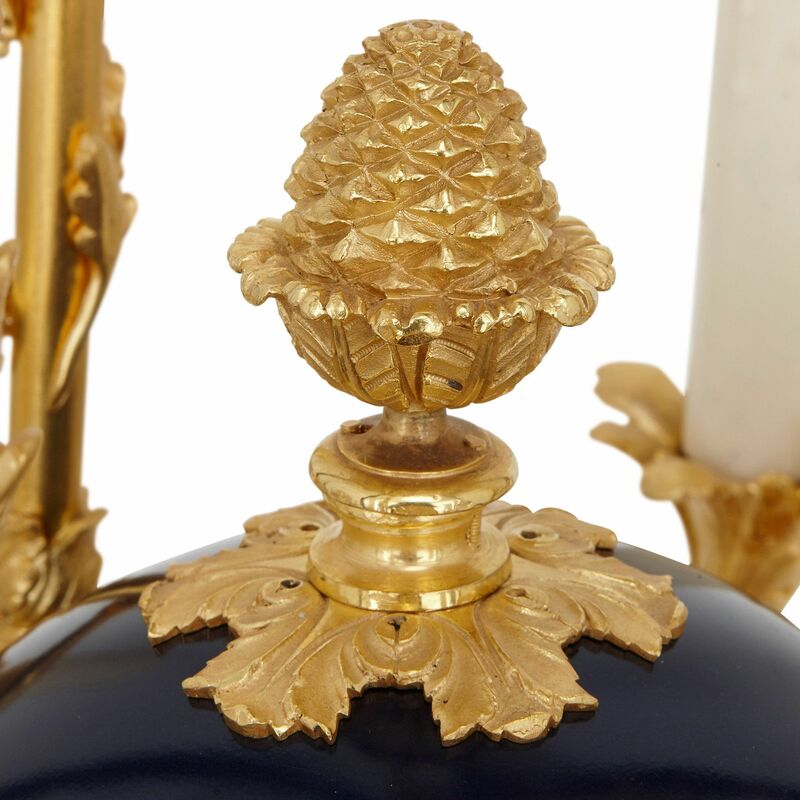 The chandelier consists of a central blue painted tole sphere with an ormolu band around it. 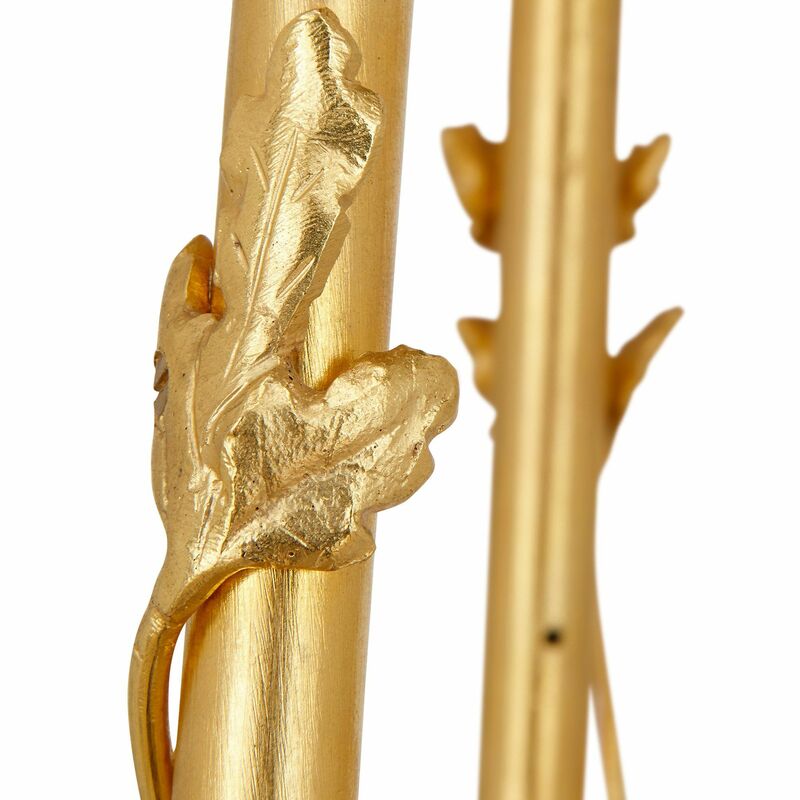 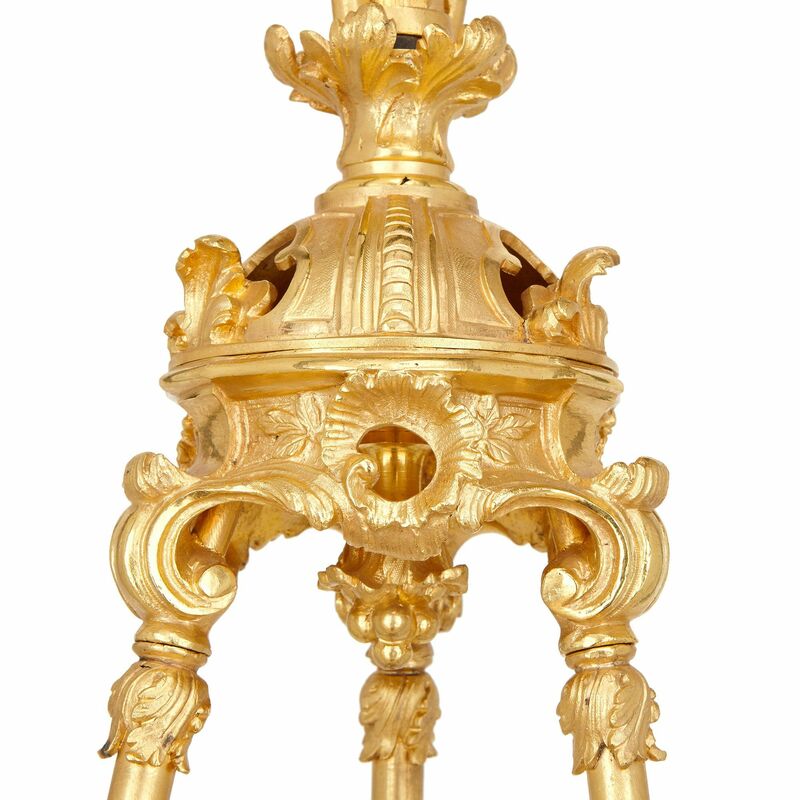 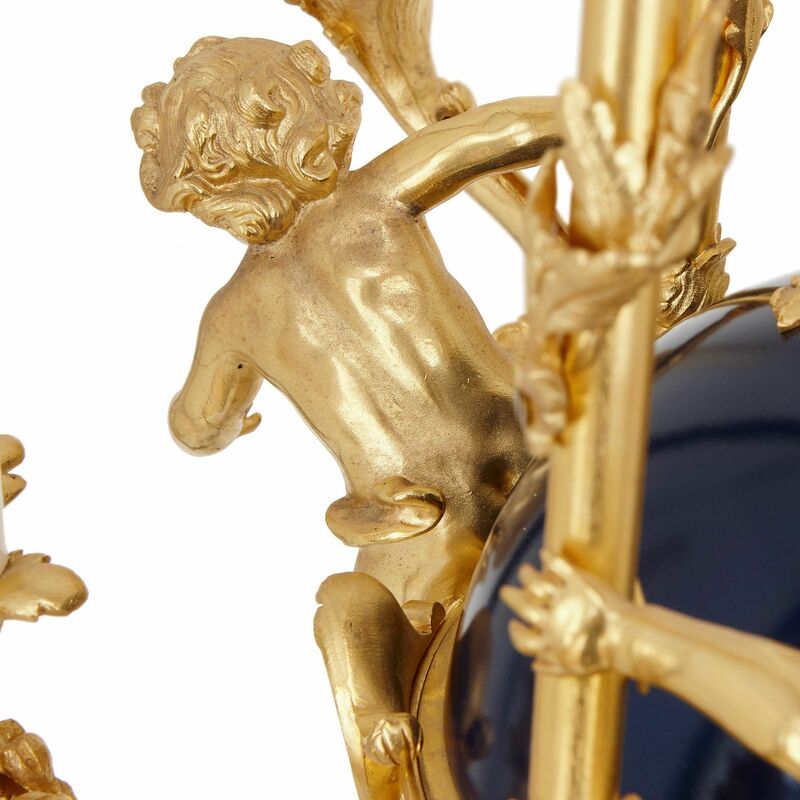 The band supports three cherubs, each shown leaning forward and holding one of the three gilt bronze supports, which are also entwined with gilt bronze foliage and joined below the ceiling fitment by a semicircular finial decorated with scrolls and acanthus leaves. 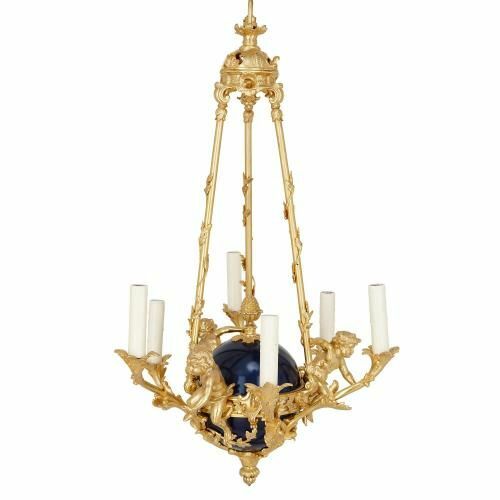 Each of the chandelier's six lights is mounted onto the lower half of the tole sphere, and takes the form of Rococo style scrolling foliage, each with a drip pan in the form of acanthus leaves.